Every year, thousands of visitors flock to Louisiana to participate in the extravagance known as Mardi Gras. Blaring Zydeco, flying beads, and outrageous outfits are just a few images brought to mind. But, few know of the rich customs and colorful traditions that make up Carnival Season beyond the parades. Luckily, Lake Charles boasts Louisiana&apos;s second largest Mardi Gras celebration and the World’s Largest collection of Mardi Gras Costumes. What better place to become well versed in all things Carnival before hitting the parades? Climb the stairs to the second floor of Central School’s Arts & Humanities Center, located at 809 Kirby Street, and you will be greeted by hundreds of bedazzled costumes and the smiling face of Mr. David Faulk. 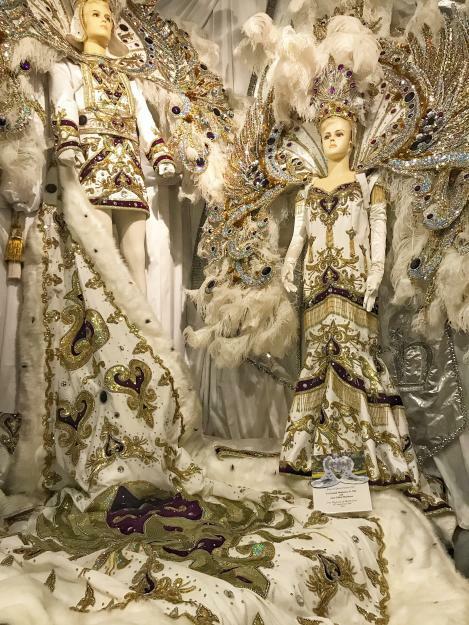 Once an assistant to one of the area’s most prominent costume designers, Mr. Faulk’s wealth of knowledge now serves the guests visiting The Mardi Gras Museum of Imperial Calcasieu. In order to see the more than 295 costumes on display, step into the first room known as The Captain’s Den. Through animated mannequins, historical footage, and eloquent costumes, guests delve into the origins of Mardi Gras. The tour begins with introductions to the founding members and Krewe Captains responsible for kickstarting Southwest Louisiana’s festivities. Marvel at the elaborate cloaks, lavish gowns, and towering mantels worn by the krewe’s “royalty.” Fun Fact, many of the collars and mantels soar over 18 feet tall! 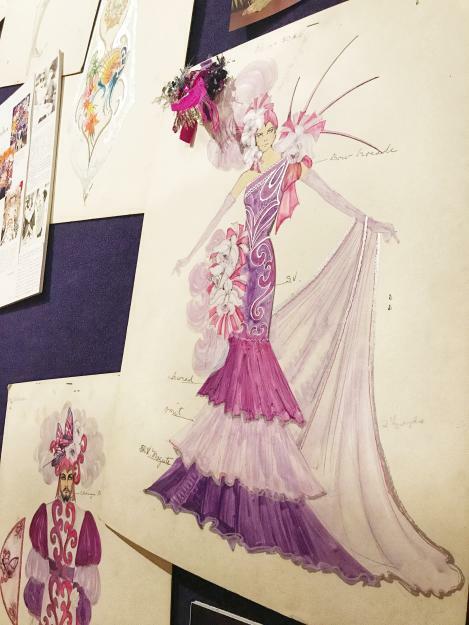 The glitz and glamour of Mardi Gras wouldn’t be possible without the fantastical imaginations and deft hands of the costume designers. Take a peek into the creative process of dreaming up such dazzling finery. From conceptional drawings and mounds of silks, sequins, and feathers to gravity-defying collars and mantels. You can even try on a few collars and headpieces and strut your stuff. 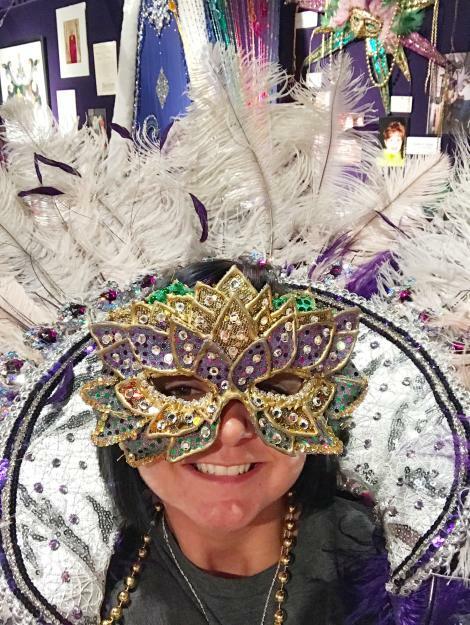 Be sure to tag #VisitLakeCharles with your best-sequined selfie! Follow the dancing steps across the antique wood floor to indulge in the tradition of King Cakes. Continue two-stepping along to revel in the pageantry of Twelfth Night. On this night, the night of the Epiphany, Krewes gather to kick off the Carnival Season with flamboyant flare as only Mardi Gras Royals can. Wander among glittering mantels cascading from the ceiling while brilliant feathered collars fan out over stunning gowns. Cross the hall and enter into the Ball Room, where bejeweled costumes carousel by, sparkling in the spotlights. Explore the different types of party favors, such as porcelain masks and personalized goblets, received by guests attending their favorite krewe’s Mardi Gras Ball. The Grand Finale of Carnival Season culminates with the Krewe of Krewes Parade so its only fitting to finish the tour with a “float-eye view” of a parade. Climb the steps into the last room, grab a hand full of beads, and let them fly! 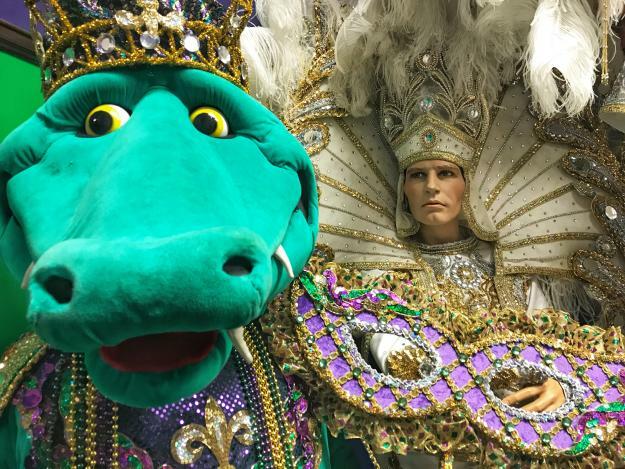 The 2018 Mardi Gras season will mark 20 years for the museum. While their normal hours are Tuesday - Friday, 1-5 p.m., they will extend their hours this Carnival Season to accommodate visitors. Entry is $10 for adults and $5 for children and senior citizens. Group rates are also available. For more information, please contact the Mardi Gras Museum of Imperial Calcasieu at (337) 430-0043. The daughter of a free-spirited, surfing waitress and a professional cross-country mover, Jessica discovered most of the country from the dog trot of an eighteen-wheeler before turning 5 years old. She was raised along the banks of the Sabine River and embraces her naturally curious soul, love of nature, and appreciation for culture. After marrying a 4th generation farmer who had never taken a vacation, an entirely new adventure began. You can join them on their many (and sometimes muddy) adventures at www.TheRootedGypsy.com.